Elon Musk's SpaceX has set a new horizon of expectations for the space industry since its inception in 2010. The young billionaire wants to make space available to everyone, and send people to Mars and moon. The new space race has been taken over by the startup world led by entrepreneurs such as Elon Musk and Jeff Bezos. India gained much attention globally with the launch of ISRO’s Mars mission called Mangalyaan costing Rs 450 crore, one-tenth of how much NASA spent on its 2013 Maven explorer that it sent to the planet. This has been a major source of inspiration for entrepreneurs to finally have a little space of their own and get a little closer to the mystery that lies beyond Earth. To study the many stars, planets and moons in galaxies beyond the Milky Way. It’s a collective effort from and for humanity to understand our roots a little better. Who hasn't dreamt of exploring space in your own Millennium Falcon and these aerospace entrepreneurs are striving to make these come true, removing the dominance government had over this industry. From building rockets and satellite to lunar rovers, these startups have mastered how to make these world class spacecraft at minimal costs. Let’s see some Indian Space startups taking India ‘to infinity and beyond’. The global space industry stands at $314.17 billion and we can only imagine the things rocket scientists and entrepreneurs together would do if they get even a bit of it. E2O aims to do just that with the vision to see India get at least 25 per cent of the world’s space business. Founded by Sushmita Mohanty, E2O claims to be India’s first private space firm and have one goal in their minds – space exploration. They want to transporting humans to the moon and Mars. Currently they offer launch advisory and consulting services and remote sensing value-added products to governments, simultaneously working on concepts such as space mission simulators, prototypes of living capsules and space suits for future astronauts. 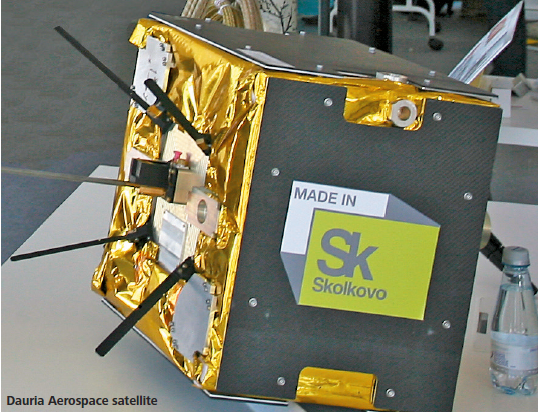 E2O launched its first client satellite onboard a PSLV in the fall of 2012. The client was Osaka Institute of Technology (OIT) from Japan and the payload was a university-built 15-kg microsatellite called PROITERES-1 (Project of Osaka Institute of Technology Electric Rocket Engine onboard small Spaceship). Space buffs Sanjay Nekkanti and Narayan Prasad met during their prestigious double-degree Erasmus Mundus Space Master programme in Sweden and France where they also realized they would be great partners. They came back to India and launched their space startup by the name Druva Space in 2012 with the little money they saved during their scholarship. “I and Prasad co-founded Dhruva Space with a primary interest to offer consulting and technology services to university satellite developers in India. In this context, we forged relationships with Noorul Islam University, which is building NIUSAT and People’s Educational Society University, which is building PISAT. We constituted a service contract with Indian Institute of Astrophysics to support their high altitude ballooning programmes with telemetry, tracking and recovery solutions,” reminisces Sanjay Nekkanti, Co-founder and CEO, Dhruva Space. Their to-do list doesn’t stop here. The firm says that they can manufacture a satellite weighing 10-100 kg for about Rs 3 crore, something ISRO would have spent Rs 200-300 crore to develop. They have a MoU with Berlin Space Technologies for possible make-in-India small satellites. The two-year-old company expects to launch its first satellite - a 12 kg communications satellite for AMSAT, the Indian arm of a global association of amateur radio operators - by the third quarter of this year. They are also exploring partnerships with taxi aggregators, big data companies and IT giants to offer civilian and commercial applications. Found in 2010, Team Indus is already on its way to accomplish great things. Founded by Rahul Narayan, this Bangalore based startup has some renowned investors like Infosys’ Nandan Nilekani and HCL’s Ajai Choudhary and Rajiv Mody to begin with. Their greatest accomplishment has been competing in the $30 million Google Lunar X Prize competition, and winning $1 million prize money in the 'Landing Milestone' category. The company has built a lunar rover and expects to launch in December 2016 in the competition. Using ISRO's launch vehicle PSLV, Team Indus also intends to send crowd sourced payload along with a Lunar Rover to the moon. Based in Bangalore and Washington, this aerospace firm develops communications satellites for broadcasters, system integrators and governments. More of an organization than a startup, Aniara was launched in 2001 by Rahum Das to advise and support global telecommunications and high technology enterprises expand their activities in emerging markets. In 2014, they signed a satellite procurement agreement with the UK's Dauria Aerospace in July to develop two small Ku-band geostationary satellites. This partnership proved beneficial due to high-performance, low-cost, and streamlined construction schedule advantages. The satellites will each weigh less than one ton and carry up to 16 Ku-band transponders. Spacecraft are expected to be in operation by late 2017. Das was found saying when the deal was signed, "We believe the roll-out of this efficient small satellite platform would be an ideal solution for India and other South-Asian countries in providing made-to-order satellite capacity to bulk users." This roll-out also represents a terrific opportunity for the Indian Space Research Organization (ISRO) to expand its commercialized use of its Geosynchronous Satellite Launch Vehicle (GSLV) and build on the recent success of the GSLV Mark II, he added. Space is something that fascinates all of us. It is beautifully mysterious and mysteriously beautiful. Most of all, it teaches us all to have a perspective in life. Things seem so small from far and so does all the problems. What matters is the betterment of society and this is what these entrepreneurs wish to do as well.